Want to develop your own Healthcare Mobile app? In this blog we covered 3 important categories to consider for healthcare mobile app development. Are you a healthcare startup or you an entrepreneur dealing in healthcare? If yes, this blog is just for you. You can find the information about all the important mobile app categories you need to know about in the healthcare sector. Problems are not the stop signs, instead, they are the guidelines which help us in getting solutions. And to give solutions to problems in the healthcare industry is like having golden opportunities for both the healthcare startups and entrepreneurs. Let’s check out a few statistics in the healthcare sector before getting down to the main content.
? Moreover, a report in Liquid-State has declared that the global mHealth app market is expected to reach up to US$102.35 billion by 2023.
? 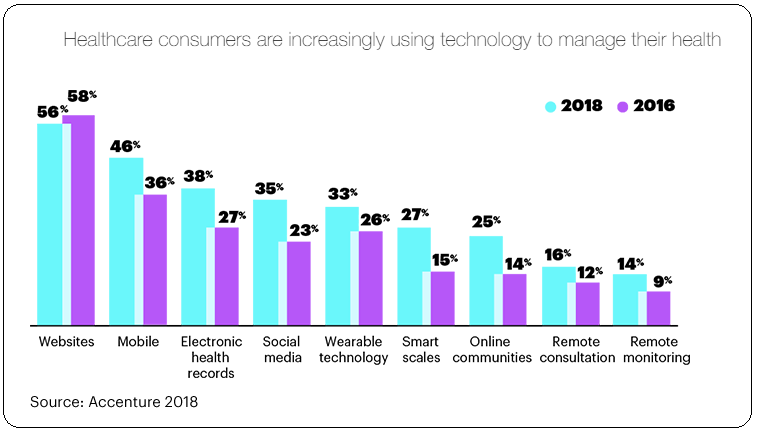 The research of Accenture also stated that the healthcare consumers are showing strong use of digital technology and their numbers are rising each year. More than 75% of consumers surveyed had confirmed that the healthcare technology is playing an important role in managing their health. 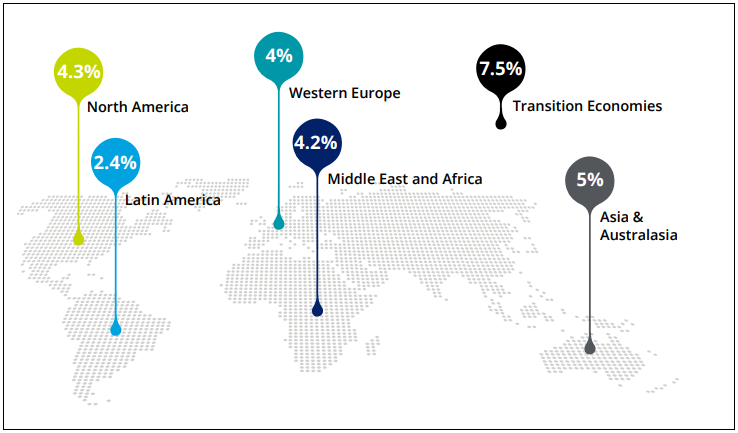 Regions in the world that have experienced a noteworthy raise in the healthcare industry. According to a research, global healthcare is projected to reach $8.7 trillion by 2020. Percentage of GDP for healthcare is also expected to rise from 10.4% (as in 2015) to 10.5%(in 2020). The rise in health care expenditures through 2020 will be more in emerging and low-income countries. The services will also expand in the developed countries. It is predicted that 50% of healthcare expenditures worldwide will be spent majorly for the treatment of leading causes of death: cardiovascular disease, cancer, and respiratory diseases. When the technology was not so much developed, patients had to wait for a doctor’s appointment for weeks and months. Even to consult a doctor for a common cold, patient had to wait in long queues. With the start of on-demand healthcare app development, doctors are accessible to their patients right on their smartphones. We have seen a great rise in on-demand applications within a few months. Right from on-demand cab services and food delivery options and even the beauty services, the on-demand has become a common word for people. So, healthcare sector is also adopting the on-demand technology day-by-day. On-demand healthcare app is becoming popular among the doctors and patients as it provides an online platform for the quick, hassle-free and effective communication between the doctors and their patients. So, it is predicted that the healthcare on-demand apps are a boon for patients and doctors as they are connecting the two with video consultations and it gets the best for them. If you are a startup, opting for on-demand healthcare app can prove beneficial for you and your patients. Telehealth and Telemedicine is similar to traditional clinical diagnosis but it is delivered by technology. The word “telehealth” actually defines a variety of diagnosis and management in the field of education and healthcare. It is an easy and convenient way for counselling, disease monitoring and management. Telehealth includes a wide range of services like consulting doctors, monitoring systems, medical examinations and even psychological consultations. mHealth is nothing but managing your health using your mobile phones. The app enables you to keep a record of your own health without the need for any counsellor. The population around the world is under the clutches of various diseases like diabetes, hypertension and depression. The mobile healthcare apps or mHealth apps help the users to eat healthy and exercise every day to manage and improve their physical and mental health. Technology has a major hand in the development of healthcare apps. Artificial intelligence and data analytics have made a significant improvement in the already existing healthcare apps making them faster and more reliable than ever. AI-powered healthcare apps help in diagnosing and managing a patient’s health much speedily. They also prove helpful in storing data of millions of patients in the database with the ability to optimize patient care plans and making healthcare more cost-effective. The AI-powered apps are also making lives easier as they have proven to be successfully monitoring a patient’s condition even in ICU. The patients suffering from Parkinson’s and dementia are also greatly benefited by using these mobile healthcare apps. After reading the above content, you might have had an idea to create a healthcare mobile app. Depending on your field of work, you must have a few features in mind for your healthcare app development that need validation. You must be looking for a healthcare app development company which is trustworthy and can help you with your mobile app. Coruscate is a company where you can get your ideas validated as we provide a free consultation. We can explore the needs of your company and can help you to build a healthcare app which can really do wonders. Connect with us through contact form to get further information or click below to get free healthcare app development estimation.